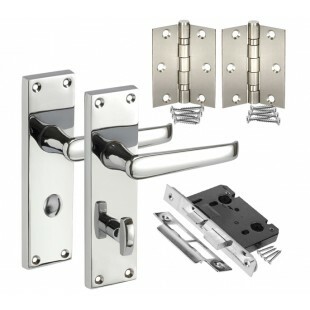 Traditional door handle packs for bathroom doors feature the straight lever designed bathroom door handles on backplate with fitted thumb turn and release, bathroom door lock and door hinges. The perfect pack of traditional door handles that provides everything you need whether replacing old bathroom handles or fitting a new bathroom door. Best suited to traditionally furnished homes the door handle pack for bathroom doors feature high shine polished chrome handles that provide a pleasingly stylish yet traditional Victorian appearance that suits all bathroom doors whether solid wood, painted or veneered. 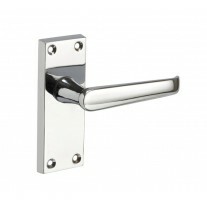 Traditional handle packs for bathroom doors include a pair of bathroom door handles with fitted thumb turn and Victorian straight lever with allover polished chrome finish. Includes fixings and spindle. 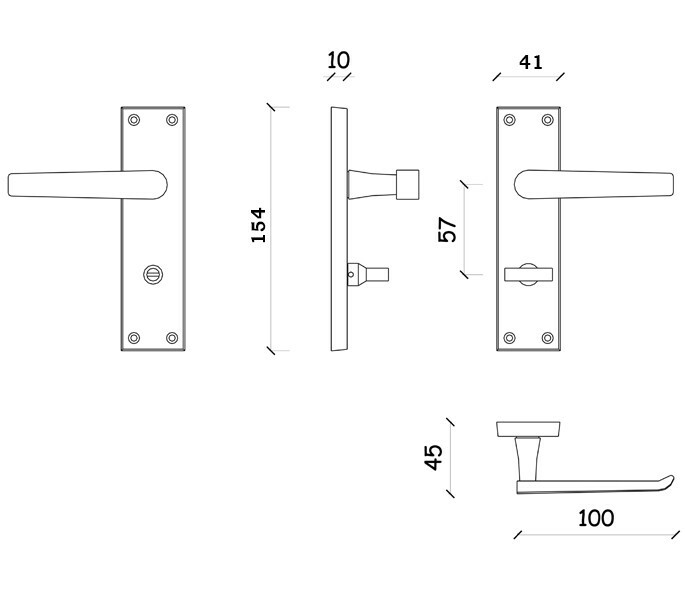 Overall length 95mm with 154mm x 41mm x 10mm backplate. 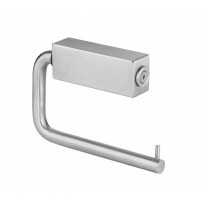 Bathroom door lock with 8mm spindle hole for handles and 5mm lock spindle hole (standard UK sizes). 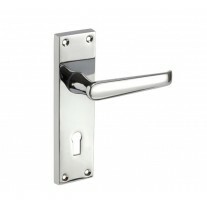 Satin nickel plated, includes screw fixings and strike plate to be fitted to the door frame. Overall case size 76mm, 57mm backset (distance from the edge of the door to the centre of the spindle hole). 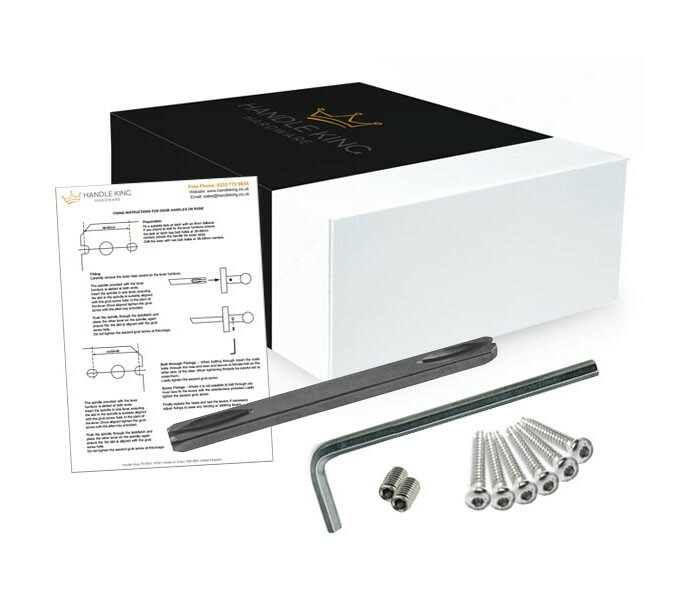 A pair of double ball bearing stainless steel door hinges with screw fixings to suit the handles and other items included in this pack. Length 75mm x 65mm. 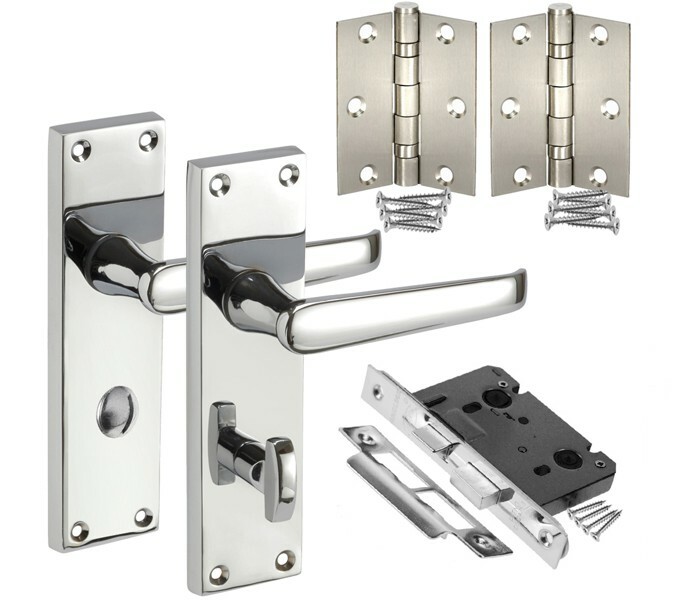 Just select how many traditional door handle packs for bathrooms you need and add to cart.